Why wait? Schedule a test drive with us today. Nice service here. Polite sales. Much better than Park Mazda. Went for parts and a conversation with the sales staff. All good. 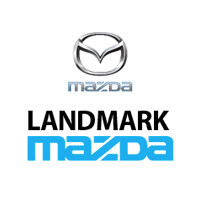 At Landmark Mazda located in North Edmonton, Alberta, our focus is on providing you with an enjoyable and stress-free shopping experience. This means you can use our New Vehicle Sales Staff as consultants and information providers. Our goal is to achieve the highest level of Customer Service. Landmark Mazda sales staff, have the resources and the experience to deliver your new or used Mazda. In fact, you don’t even need to come into the store to purchase a new Mazda. We will be happy to deliver your vehicle to you. Our service department has been rated the number one Mazda service department in Alberta. We offer free car washes, free multi-point inspections and a complimentary shuttle for every service visit. You can trust our factory trained Mazda technicians to take great care of your new or used Mazda. We service all makes and models, so even if you don’t own a Mazda we can get your vehicle in top shape.